The 25 bee hives at the historic site in Charlottesville, Virginia, got through the harsh winter without any losses. How? Monticello's beekeeper uses Russian bees. 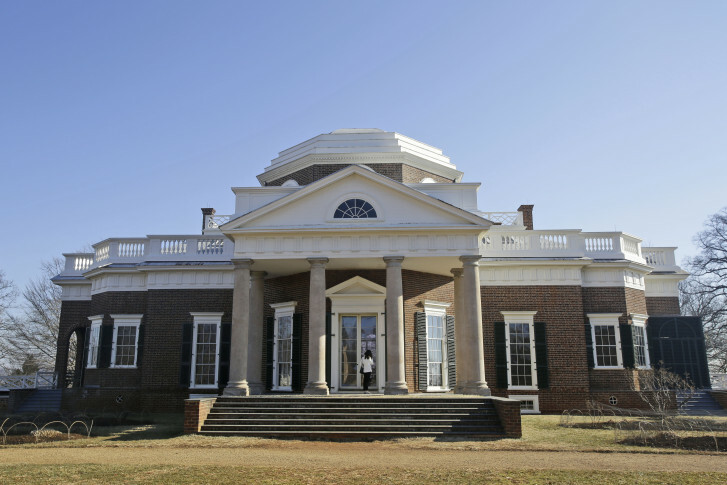 The 25 bee hives at the historic site in Charlottesville, Virginia, got through the harsh winter without any losses. Legrand explained that the Russian bees have proved more resistant to the mite infestations and infections that have troubled Italian bees, the primary commercial bees in the United States. Legrand, who kept bees for 20 years in New York before moving to Charlottesville in 2009, believes Virginia’s sometimes fickle, sometimes harsh winter weather can be hard on bee colonies. But the Russian bees are robust. “One of the benefits of the Russian bees is, they build up their populations quickly in the spring, but they can handle a very small population in the winter time,” Legrand said. Another factor in the perfect survival of the Monticello honeybees is that their hives are made of polystyrene, according to Legrand. “[Polystyrene hives] serve a great purpose. They keep the bees a little bit warmer in the winter time and a little bit cooler in the summer time,” he said. Much has been said and written in recent years about the threats facing honeybee populations including deforestation, pesticides and Varroa mites. But bees have been around for around 100 million years or more and Legrand believes, in the long run, the bees will be fine. “The way we’re going, I think the bees will be talking about us 30 million years from now,” Legrand said.